me and amber's Three Birds design features the soaring silhouettes of three birds in flight, printed over a carefully shaped listing of bird species and their scientific names. An edgy, contemporary print full of contrast and detail, and an eye-catching design for your living room! The tactile nature of the linen and supporting 80% feather insert elevates it way beyond any regular department-store-style cushion. 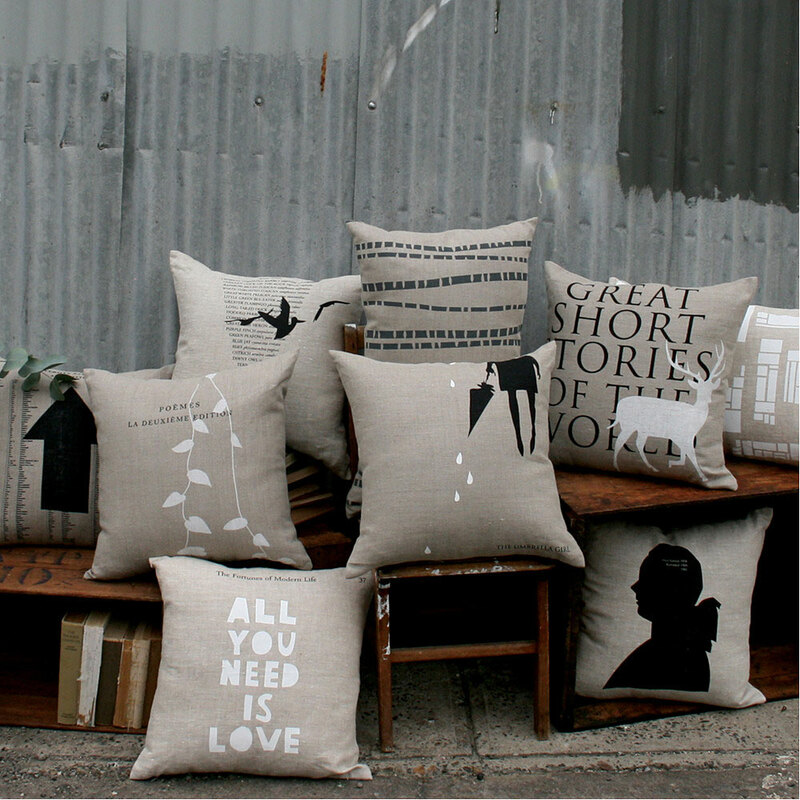 You can’t have enough cushions. well that’s what we think anyway. on the couch, a favourite armchair, bed, anywhere really… they look great on their own or in a group, and because of their neutral colour palette, me and amber's cushions work nicely with all sorts of textures, colours and fabrics. 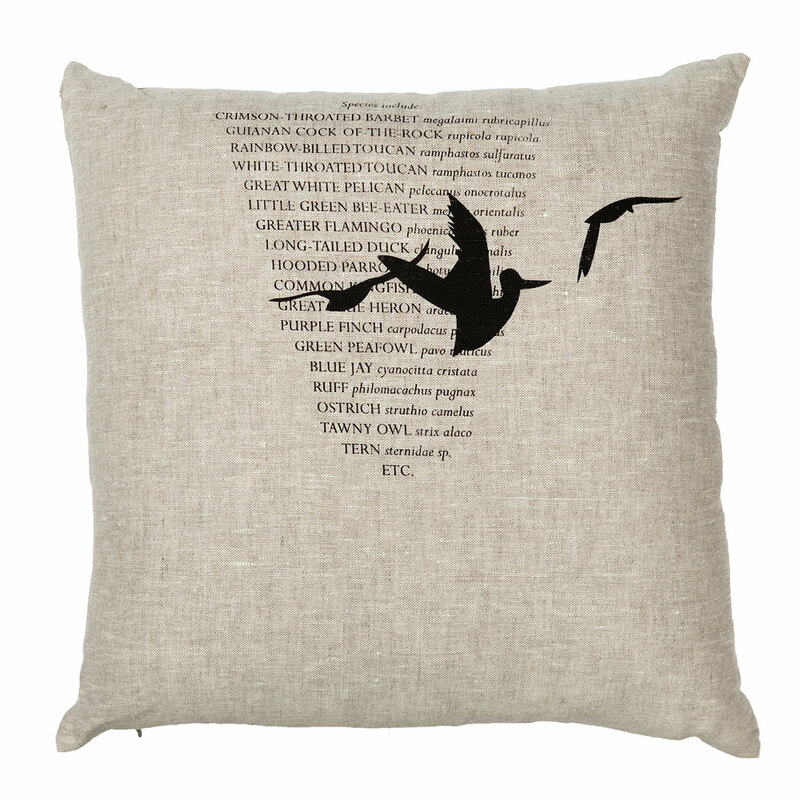 * Three Birds Cushion - Natural ships as a large parcel and does not qualify for FREE SHIPPING offers.